Someone somewhere is running a very effective video campaign against Stephen Harper. This from a man who pretends that he’s the only leader that Canadians can trust with managing the budget. 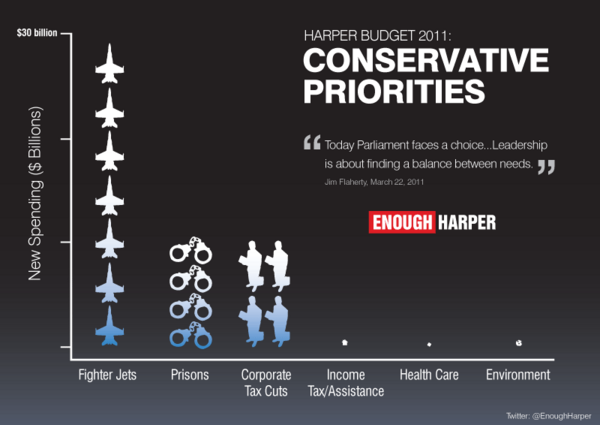 As a reminder, there’s a very effective “Enough Harper” campaign underway.